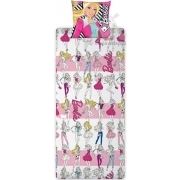 Bedding sets for preschoolers to sleeping after-dinner nap with Disney fairytale characters. Bedding for kindergarten with duvet cover size 80x200 cm and pillowcase size 40x40 cm made of 100% cotton closing by zippers, available as set of pillowcases or kit pillowcases with light duvet from Sensidream collection with appropriate thermal characteristics adapted to the conditions of kindergarten. 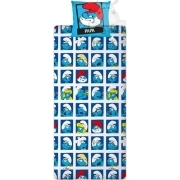 Colourful bed sheets with Disney characters of fairy tales, know by all preschoolers make better the sleeping time.